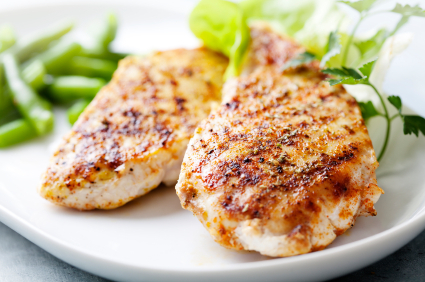 Whether you grill it or broil it, this lean chicken recipe is a fantastic, healthy dinner you can make in 15 minutes or less. 2. Combine garlic, mustard, parsley, salt, pepper, and oil in a small bowl; mix well. 3. Brush chicken breasts evenly with garlic mixture.